1770 The firm was started by Nisbet MacNiven, a paper maker, at Balerno, near Edinburgh. 1788 It then developed as a stationery wholesaler, after moving into the middle of Edinburgh. 1840 The first Camerons appeared. John and Donald were brothers. 1845 The name was changed to MacNiven and Cameron. 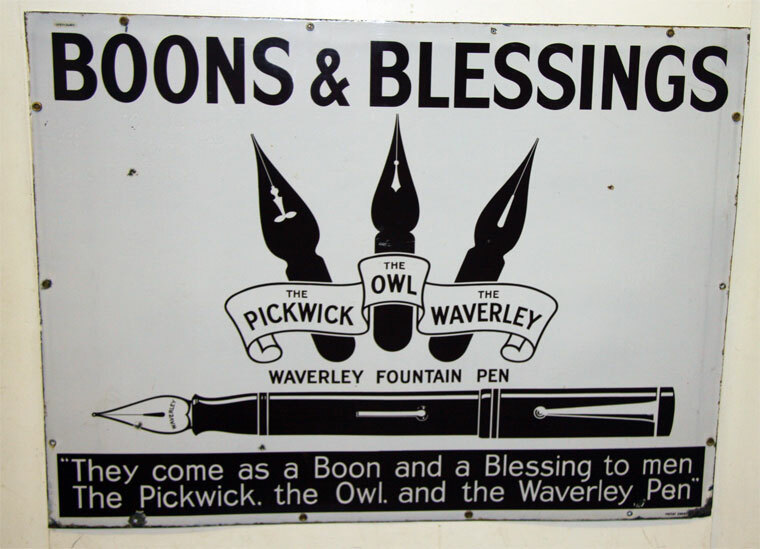 1850 Duncan (a younger brother) joined, and he invented the Waverley nib (narrow waist and upturned point). 1864 It was first manufactured for the company by Gillott, and later by Hinks, Wells. 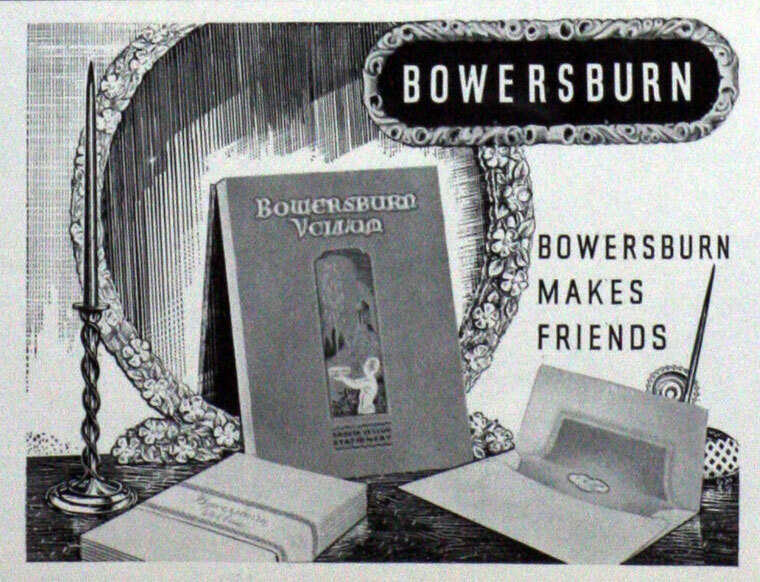 Some of the nibs were made by Wadsworth and Norton, and by Brueton Fowler. Gillott made the Waverley Pens until the mid 1870s, when they were transferred to Hinks Wells. 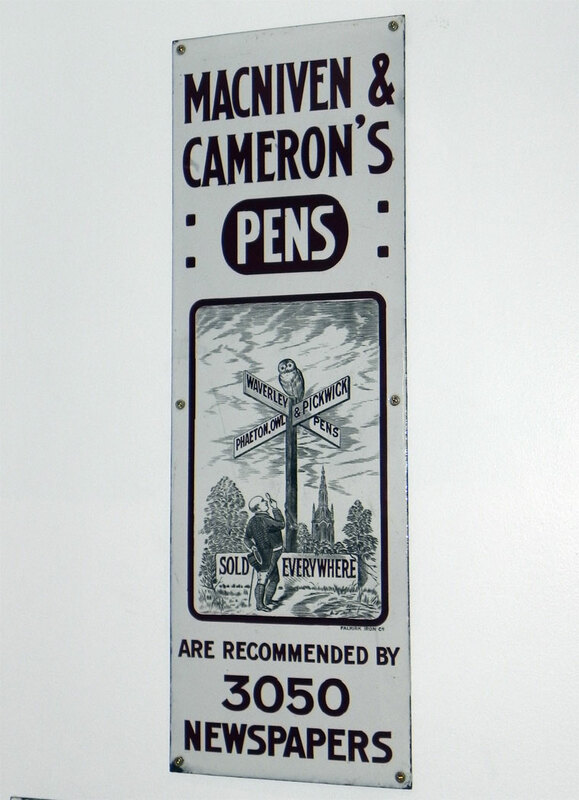 1900 MacNiven and Cameron bought a factory in Birmingham and started to manufacture their 'Waverley' pens themselves, at a works in Watery Lane, Bordesley. 1920s There had been a rather unsuccessful attempt to move into fountain pens but the company gradually moved more into paper stationery items. The Birmingham factory was at the Watery Lane site from 1900 to 1964. Towards the end of that period, the factory was making mainly paper clips, of the barrel spring type, but some nib manufacturing continued to the end. 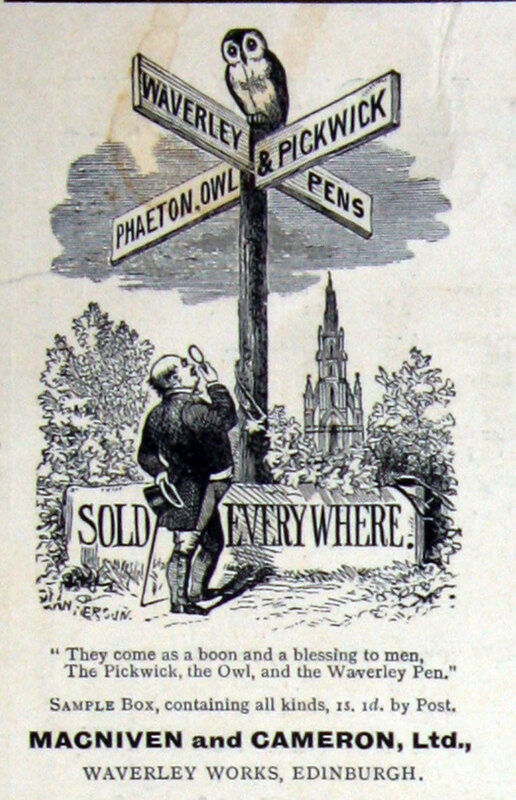 For many years the pens they sold under their name were made by Joseph Gillott. The major customers for the nibs in the last years were in India, where there were large numbers of people who were unable to afford fountain pens or even ballpoints. However, tariff barriers eventually closed this and other eastern markets. The Waverley Pen continued, little changed, in production for exactly 100 years, until the Birmingham factory was closed in 1964. This page was last edited on 27 November 2012, at 15:06.